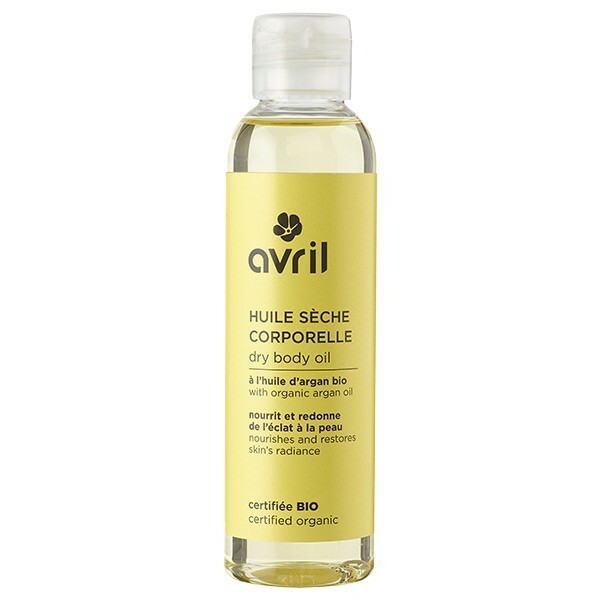 Avril organic body oil is suitable for dry and sensitive skins. It deeply nourishes the skin and leaves it healthy and protected. The Avril Organic Nourishing Dry Oil is a comforting yet non-greasy body oil that can be applied after bathing or showering. It can be also used as a massage oil. It contains a variety of soothing ingredients, and it protects and repairs sensitive or dry skin. It can be applied to both the face and body, and contains organic argan oil that nourishes and adds glow. It contains antioxidant ingredients, and so helps the signs of aging. Its hydrating effect will also add to its anti-aging effects, as it helps skin to look plumped and fine lines to be minimised. 100% of all plant-based ingredients in the formula.